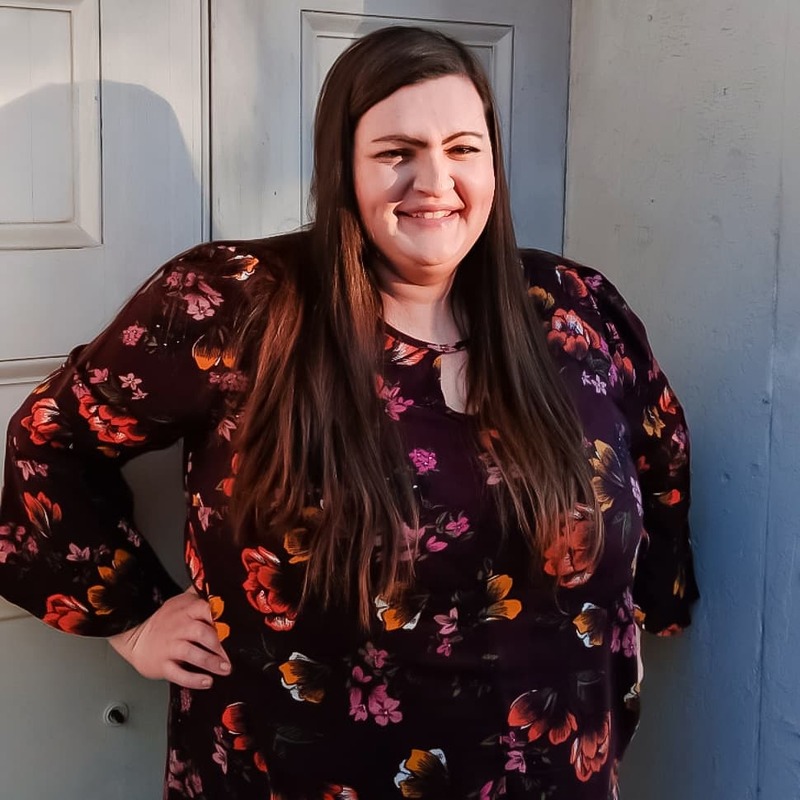 I’m Aryn, and I am so glad you are here! 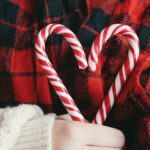 This blog started as a fun way to journal my experience as a mom but has turned into so much more. 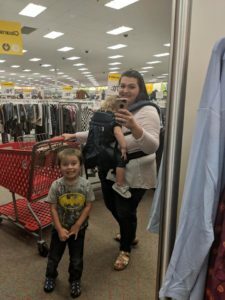 Here you’ll find my musings on motherhood, favorite things, and tips and tricks to make motherhood just a little bit easier. Oh, and hopefully a little solidarity too. I’ve been married to my sweetheart for 10 years. We’ve been together for 1/3 of our lives, and I couldn’t do life without him. He is the yin to my yang, makes me laugh, and keeps me going. By day he is a corporate financial analyst, but his true love is writing and shares his love for Games and Movies on his own blog Up Down Punch. Together we have two of the sweetest kids you’ll ever meet. Kallen is 5 and Cora is 2.5, they are the best, most exhausting thing we have ever done and we love being their mama and daddy. I don’t like using labels, so I won’t say I’m a crunchy mom, but we do try and make sustainable and natural decisions for our family, It just feels right to us. My kids also eat happy meals and I don’t plan on giving up diet coke. It’s all about balance. 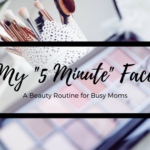 Formerly a Licensed Esthetician and MUA, I traded in beauty for babies in 2014 when my son was born. I had some amazing opportunities and was able to do makeup for film, and freelance for some of my favorite cosmetic companies like Smashbox and Laura Gellar. I still have a passion for beauty, and love that I can continue to share my favorite products, tips, and tricks here! 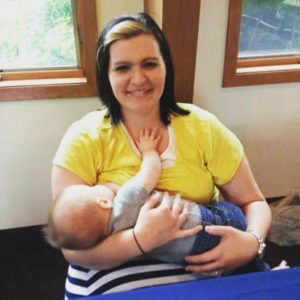 When my son was just 6 months old, I was given to opportunity to become a WIC Breastfeeding Peer Counselor (you can read more about the program here). 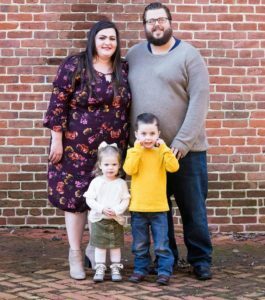 My passion for breastfeeding had already been ignited when my son was born, and after struggling to get the hang of nursing with him and realizing the lack of support for so many moms just like me, I couldn’t turn the offer down. Now, I am a Certified Lactation Counselor, and I lead a local support group (let me know if you want details!) twice a month. 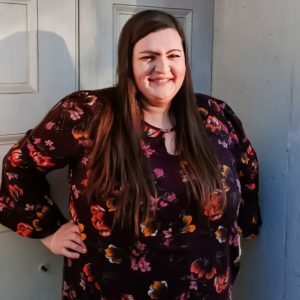 I am a Lactation contributor over at Swaddles and Bottles. I also have developed a deep love babywearing, maternal mental health and supporting families postpartum. I can say I am doing my dream job, and it couldn’t be better. 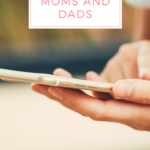 This blog is not only a place to share my stories but to create a space where all parents feel accepted and empowered. I don’t like to put any labels on parents and believe that the choices you make as you learn and research don’t have to put you in some type of group or bubble. Parenthood is one big experiment and it’s okay to change your mind or do things differently as continue on this journey. We need each other, and we need community. I hope this space is always a reminder that you aren’t alone, and you are doing a great job! I was unaware you were married to batman. Cool! Adorable and so touching! I loved reading this!